NOTE: THE DRUPCHEN HAS NOW BEEN COMPLETED. The page is left up as a record only. BUTTONS FOR CONTRIBUTIONS HAVE BEEN REMOVED. HOWEVER MENDRUP SHARES ARE STILL AVAILABLE. > October 24th through the 27th: Preparatory Teachings on Drupchen practice, meaning and conduct by Lama Rangbar along with Drupchen mandala preparation and karma yoga. > October 28th through November 5th of 2017. Main Drupchen dates. The Ancient Ones (Nyingmapa sect) of Vajrayana Buddhism are well known for the extremely rare and effective methods for removing obscurations and obstacles and for producing a rainfall of positive and conducive circumstances for Dharma practice. Of all these methods, the establishment of the Mandala of Vajrakilaya is held to be supreme especially for these difficult times we are facing. 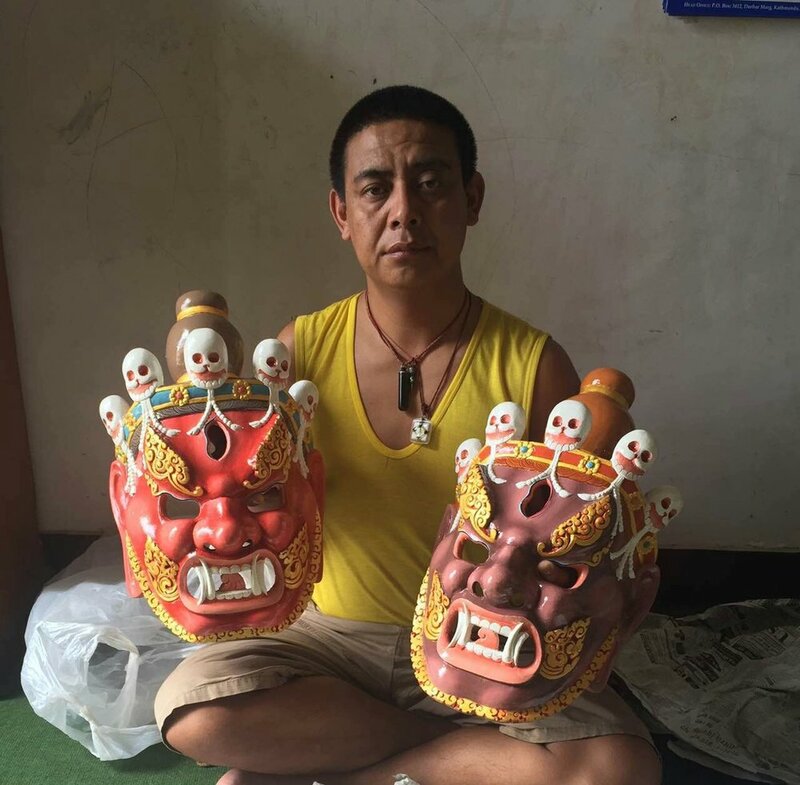 The Vajrakilaya Mendrup Drupchen is one of the fastest ways for practitioners to remove hindrances, sicknesses, disturbing circumstances and to reduce emotional turbulence while reversing even life-threatening obstacles. Additionally, by supporting the drupchen, we complete the two accumulations of merit and wisdom which leads to enlightenment. Furthermore, for participants and supporters of this Great Accomplishment Ceremony, a sacred and rare accomplishment medicine (Mendrup), becomes available which confers unfathomable benefits of prosperity, well-being and the supreme accomplishment of liberation by taste. Drupchen Ceremonies typically take at least seven days of uninterrupted practice of a full assembly of capable practitioners to accomplish. This Drupchen will be officiated by Tulku Thadral of Ketsen Zangpo's Gompa, Lama Yedrol, a foremost highly trained Dudjom Tersar master of ceremony, Lama Rangbar Nyima Ozer and Lama Pema Thobchen. Due to the fact that many skilled people, rare substances and many ritual items are required, the ceremony will take place at our Bodhivastu center in Sankhu Vajrayogini Nepal in a large "Accomplishment House" (Drup Khang) which has been recently completed. This occasion presents a rare opportunity for western students and practitioners to come to Nepal and engage in a complete drupchen from beginning to the end when the final medicines are prepared and distributed by shares for participants and those supporting the drupchen from afar. 1. A new Drup Khang (Accomplishment Gompa) has been completed for the drupchen which can accommodate over 60 practitioners comfortably along with the main mandala. One extensive Vajrakilaya reversing practice has now been successfully completed in the drupkhang with 20 qualified yogis and yoginis attending. 2. Cham (Ritual dance) costumes and most of the mandala items have been made and brought to the center by Lama Pema Thobchen who is part of the original drupchen team. 4. Master of ceremonies Tulku Thadral, has agreed to lead the ceremony. Tentative dates have been set for Oct 28th to November 5th, 2017. Medrup drying and teachings by Lama Rangbar will continue on from Nov. 6th to 15 with some likely pilgrimages included. "Accomplishment medicine" has its roots in ancient history with ingredients and relics that extend far back to the time of Padmasambhava. Mendrup consists of hundreds of herbal and mineral ingredients as well as substances from holy power places. But the true power of mendrup rests in the empowerment process used in making it. Over twenty skilled practitioners with capacity and harmonious samaya must gather without any break in the practice for the entire duration of the drupchen. This means that recitation of mantra occurs in an unbroken stream 24 hours a day, from the beginning of the ceremony to the very end. This is the method by which the ultimate blessings are infused into the substance which goes on the serve several important roles in the lives of connected practitioners and those fortunate enough to partake of the mendrup. Supporting the Drupchen in general means connecting with all of the activities as well including the minor daily and major reversal of negativity using Tormas and substances. This is the skillful method whereby negative habits, demonic influences and karmic obscurations are dispelled back into emptiness so that peace prevails and our wishes, both spiritual as well as worldly are spontaneously accomplished for all. 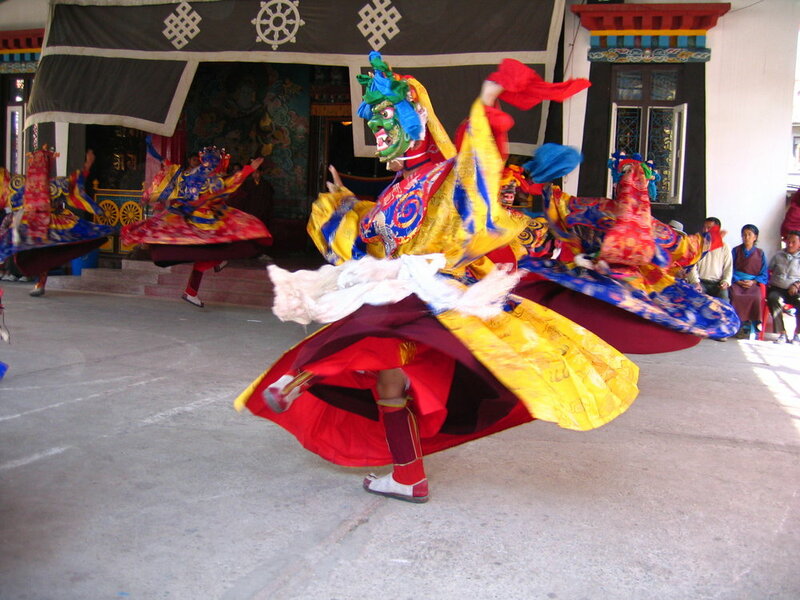 Cham Dances help establish the mandala of existence into the field of the three bodies ( kayas ) of the Deities. By seeing the cham, participants are brought directly and automatically into the pure lands of the Deity and our own three ordinary gates of body, speech and mind are transformed into the three secret vajras. To comfortably house the participants a second residence dorm must be established. Those wishing to attend should save the above dates and immediately send in their intention formally by email to info@bodhivastu.org as soon as possible. Bodhivastu will be making special arrangements for your stay and limited places for westerners for this event will be pre-booked well in advance. Participants must cover and book their own food, accommodation, text and bedding costs in advance. Those who wish to stay in their own tents on the property will only contribute a small fee for support infrastructure. There are many supreme benefits in supporting this precious Vajrakilaya Mendrup Drupchen for the benefit of all beings. To begin with, substantial support yields benefits on substantial levels such as removal of outer, (negative situations and obstacles), inner (health problems) and secret, (doubts, depression and mental hindrances) and a host of other obstacles such as; purification of negativity and negative circumstances, generation of wealth and prosperity and spontaneous accomplishment of all wishes. > Supporting the building of the accommodations (offering shelter to practitioners) paves the way for this and all future drupchens as well as future retreats of accomplished practitioners. These practitioners are always dedicating the merit of the supporters and this ripens in an ongoing fashion. It stands to reason that the future result is always having a good dwelling and time and place to practice Dharma. > Supporting the Acacia wood Phurba Mandala: This mandala will be used for the removal of obstacles for countless beings into the future. Result: always remaining free of obstacles and having the capacities to remove obstacles for others in this and future lives. Penetrating through illusion and reaching unsurpassable enlightenment. > Supporting food for the Lamas, Yogis and Yoginis performing and participating in the ceremony. There are several ways to support the drupchen which make it easy to give at the level you are comfortable with. 1. Support any amount to be used where most needed. This is the most preferable for we who must assure a successful program. 2. Support a particular item such as residence, food, offering to Lamas, Acacia wood Phurba Mandala etc. 3. Offer support using one of several packages such as Mandala Blessed iron Phurba with mendrup share. Mendrup is an extremely precious substance which is difficult to produce. 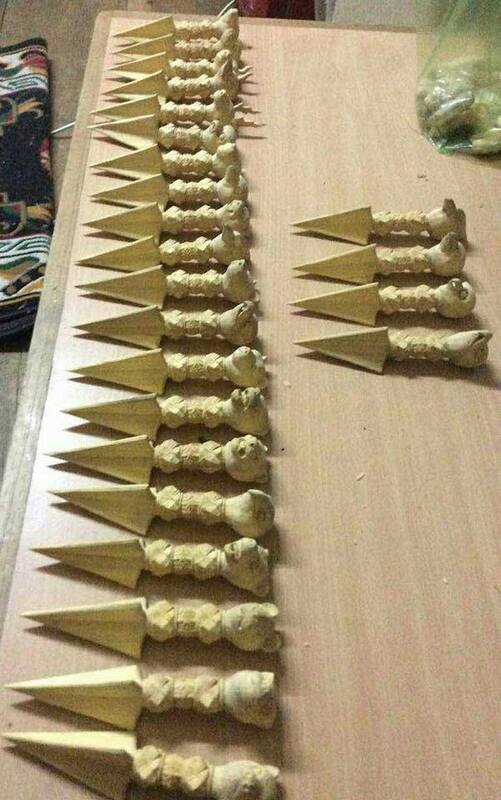 Many support elements are needed and must be weighed into the making of the mendrup. Although Mendrup is never sold, those wishing shares of mendrup can only obtain them by either supporting its production, participating in the drupchen or as a Dharma offering from the Lama. Those participating in the drupchen automatically receive a share of mendrup as per tradition. Currently various Mendrup share sizes are open for immediate support regardless of physical attendance in Nepal. Please confirm and actualize your support so you will not be disappointed as quantity is certainly limited. The Medrup Drupchen is unique as the full blessing power of the interdependence of the activities can be linked to people by their tangible sponsorship. We can participate by practice but by tangible support the linkages of interdependence are fully manifest. Also, by supporting any of the following generosities, great merit can be quickly accumulated and tangible benefits realized. Sponsors names are read out and special dedications will be done as well. Please mention how you wish to target your donation in the comment box provided or write "unspecified."